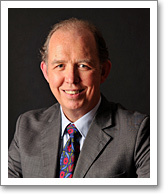 Louis Clearkin's clinical experience and excellent professional reputation ensure he is in demand as both an Ophthalmologist and medico legal expert. A meticulous diagnostician, with access to all appropriate diagnostic facilities, he gives clear, patient-centred advice on the most appropriate approach to each patient's particular condition. He is an able, careful, risk-averse surgeon, who is clear about his responsibility to always act in the best interest of the patient. He concentrates his practice on Dry Eye Syndrome and Meibomian Gland Dysfunction, Adult Macular Degeneration, Retinal Vein Occlusion, Diabetic Retinopathy, Uveitis and Glaucoma. The combination of his experience, skill and excellent reputation means Mr Clearkin is frequently sought as a medico legal expert by defendants and claimants, and for second opinions by both colleagues and patients.